As the summer months wind down, the time of early morning wake up calls, sack lunches and geometry homework spread across the kitchen table draws near. 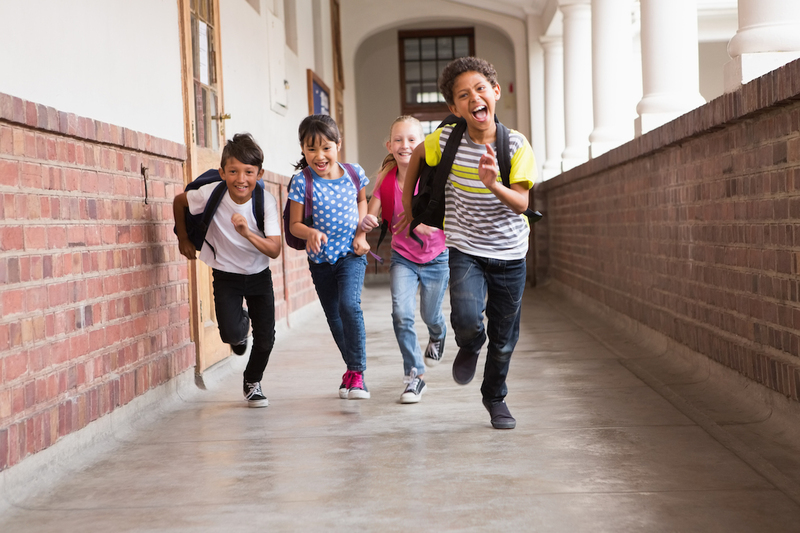 Getting in the back-to-school rhythm takes effort from both students and parents, and starting off on the right foot in the new school year can make the transition from summertime to study time much smoother. Sharpen up on these five things to do in August to make sure you and your family are ready for class. Bright On! 1. Set your sleep schedule. Chances are you (and especially your kids) have been taking advantage of some extra summertime shut eye. If that’s the case, start slowly getting back into a school year sleep routine at least one week before school actually starts. By waking the kids up a little earlier each day, that first Monday morning won’t come as such a shock. If getting up a little earlier also means going to bed earlier, make sure your bedroom is a sleep sanctuary that promotes healthy sleep habits. A new school year often means it’s time for new clothes, too. Plan a day (or two so you’re not rushed) to get everyone’s back-to-school shopping done by making a list of everything from clothes to supplies to a school sports gear that your child might need for the upcoming year. Many schools provide lists of supplies students need for the upcoming year, so be sure to check with your local office supply store to see if they have them handy. Looking for sustainable alternatives to conventional school necessities? Go green with these supplies . Whether you’re packing lunches in the morning or the one eating them at lunch break, streamlining lunch plans can help everyone’s day be that much easier. Not only that, but a 2008 Journal of School Health study found students with poor diets were significantly more likely to perform poorly on assessments. Parents, hit the store over the weekend and stock up on healthy foods for the week so you aren’t revisiting the store every night. If you want to take it a step further, do as much meal prep as you can Sunday night so all you have to do during the week is pack up a healthy sandwich and side of carrot sticks and send the kids out the door! A great start to the school year sets the tone for the rest of the semester. Make sure your child has read any required reading or completed any summer schoolwork activities ahead of his or her first week. Finish out the prep work by taking a few moments to review upcoming classes and priorities so your student knows expectations for the upcoming year. Take some time to set SMART goals for the school year, and put into place practices to help your student achieve them both in and out of the classroom. 5. Keep the fun alive. Just because school is back in session doesn’t mean the fun has to stop. Sure, your student needs to focus on schoolwork and homework, but don’t be afraid to inject a little fun to balance things out. Whether it’s quality time with family away from the books or getting out into the Denver community to enjoy fall activities , a little fun never hurt anyone! If school hasn’t started yet for your family, get going on these five tips, but don’t forget to get outside and enjoy time together before the grind of the school year! It’s back-to-school season! Summer might be almost over, so now’s the for both you and your family to get ready for the upcoming school year. Study up on these five tips for starting the semester off on the right foot: [link].